-- 20 oz. 10 oz. 20 ct. stick packs 10g. 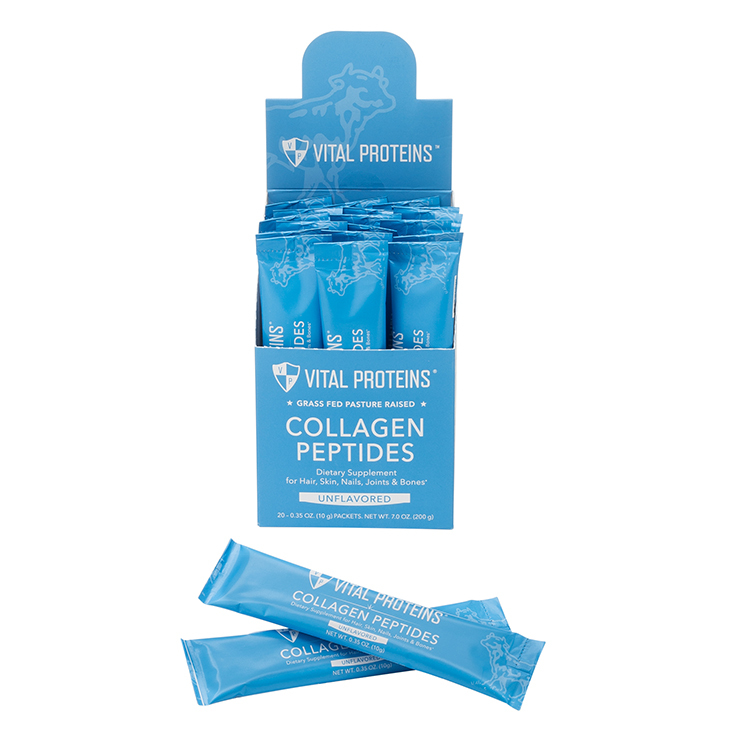 Beautify the whole body with Vital Proteins Collagen Peptides. 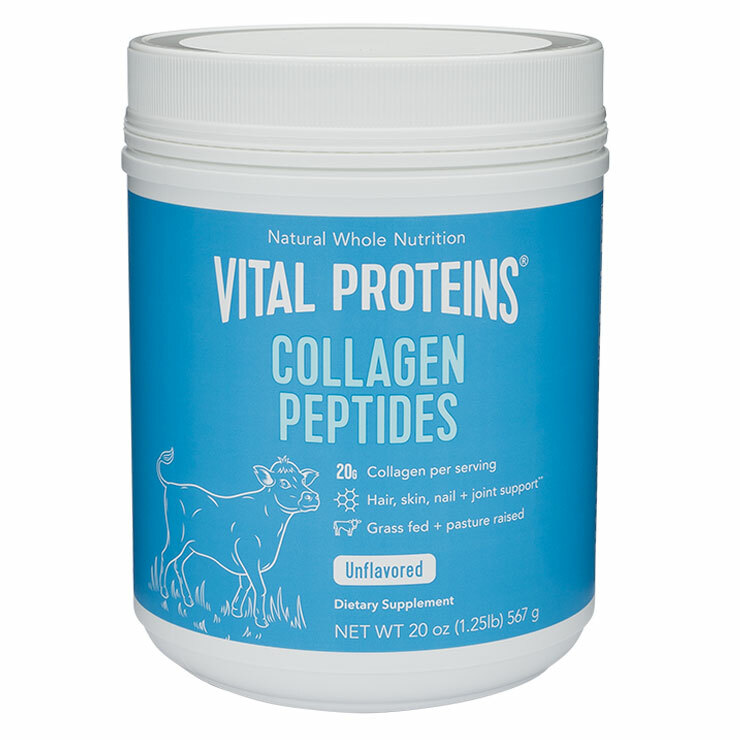 Sourced from Brazilian grass-fed, pasture-raised bovine, this collagen supplement improves the look of hair, skin, and nails, and provides a feeling of better flexibility in the joints. 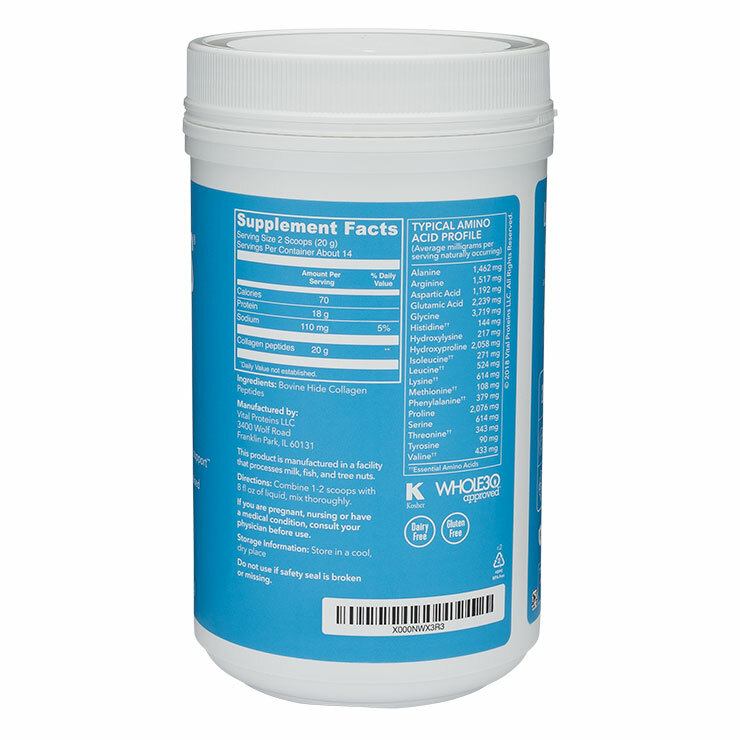 Daily use increases the feeling of bone and joint health, and muscle recovery. 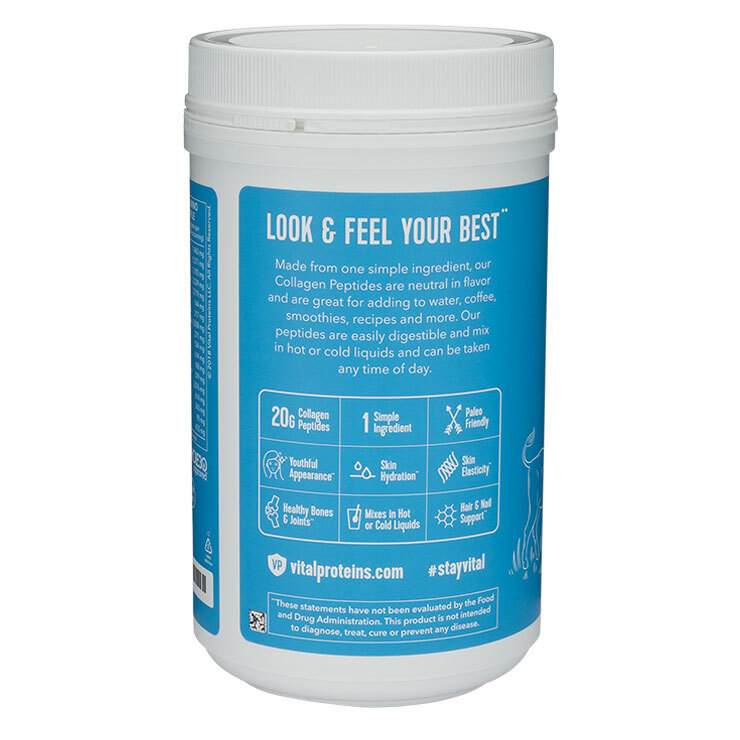 Easy to use, simply add the powder to your favorite beverage, to smoothies for a protein boost, mix into hot cereal or soups, or even use when cooking your favorite dish. 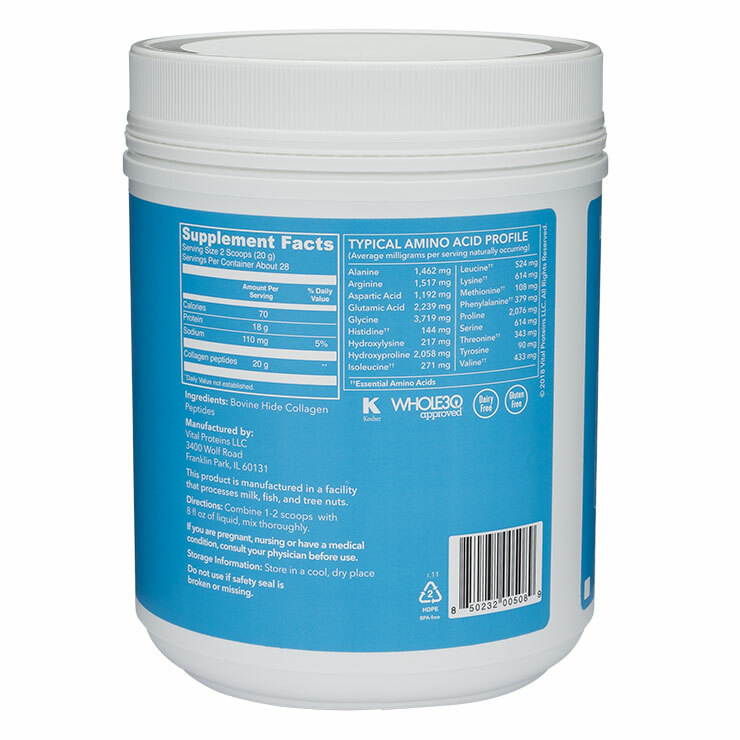 Perfect for paleo and Whole30 diets, this product is gluten-, dairy-, and sugar-free, and is easily dissolvable and tasteless. 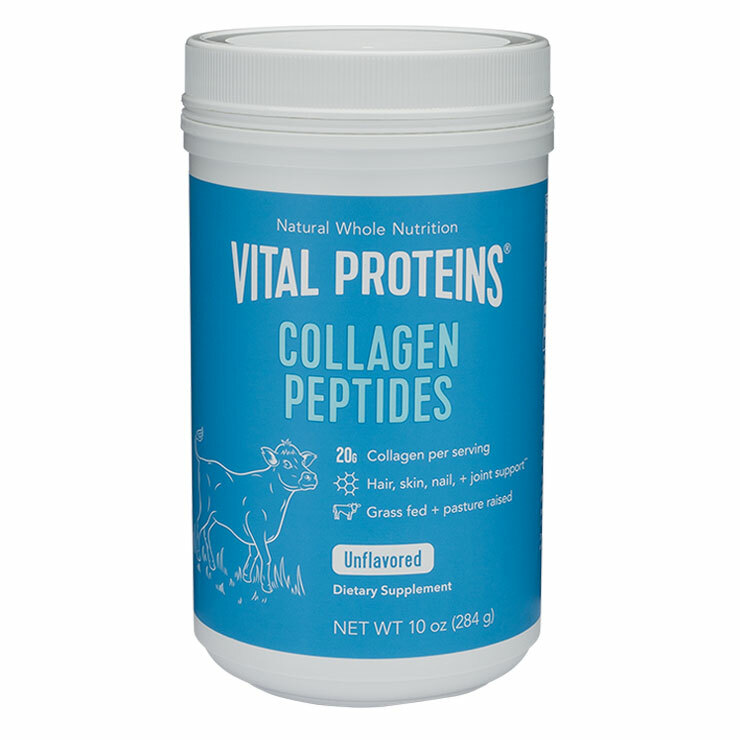 Add one to two scoops of Collagen Peptides to cold and hot drinks, smoothies, hot cereals, soups, sauces, desserts, and entrees. 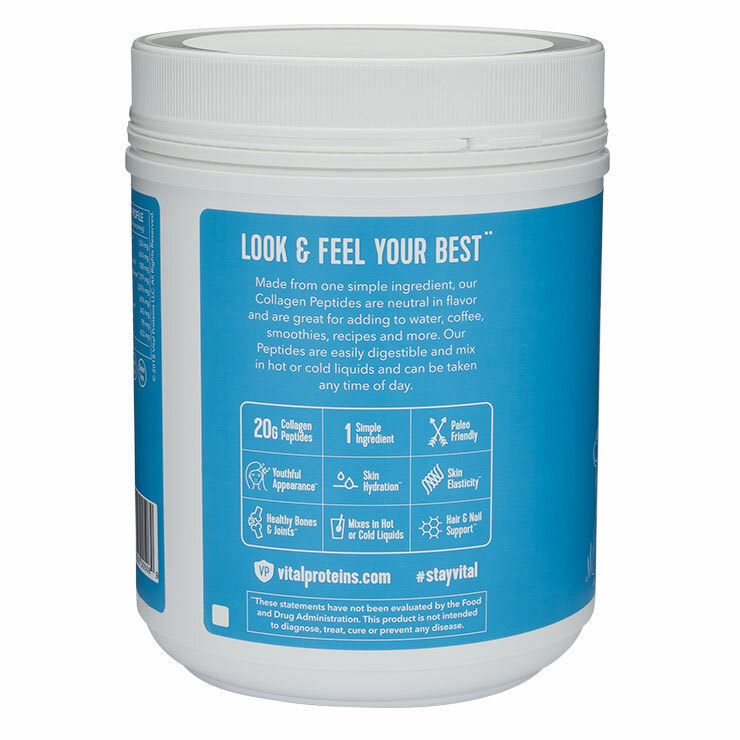 Use daily for a feeling of overall health, wellness, and vitality. This is tasteless. dissolves in water after a few minutes. 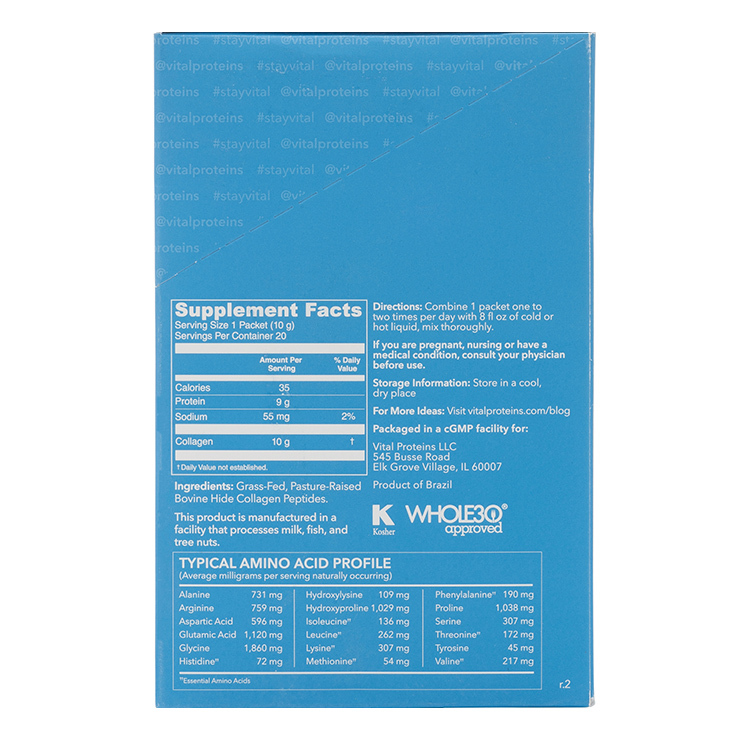 also has probiotics in it, not sure why that's not mentioned.